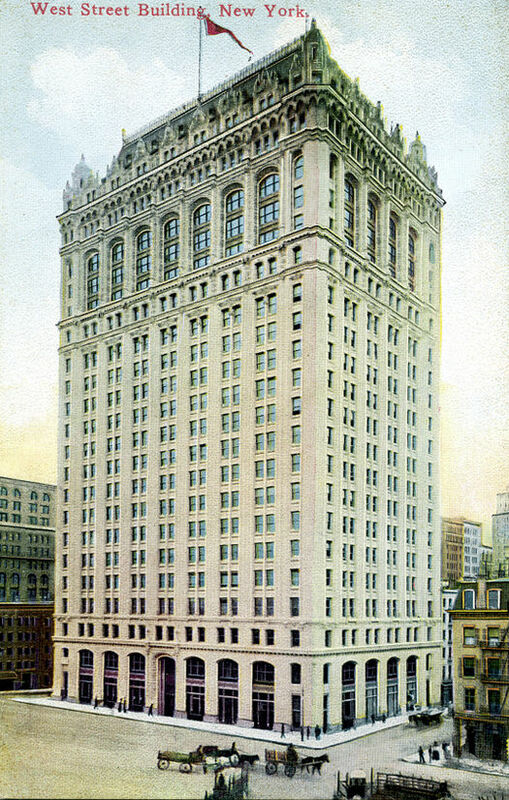 The twenty-three story West Street Building was the first of Cass Gilbert’s three neo-Gothic skyscrapers, to be followed by the Woolworth Building (1910-1913) and the New York Life Insurance Company Building (1925-1928). 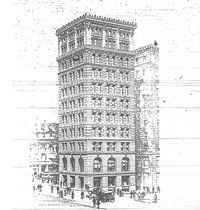 The design was commissioned by the West Street Improvement Corporation, headed by Howard Carroll, who envisioned the project as a first-class office building for the shipping and railroad industries. In 1905, West Street ran along the Hudson River shoreline, and the location of the new building was directly across the street from the docks and adjacent rail lines. Gilbert approached an office building project as a real-estate transaction which required economy and efficiency—a “machine that makes the land pay” and as an opportunity to create a striking design. 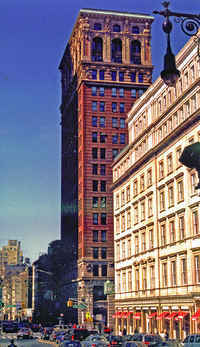 [Irish-1989] With the West Street Building, Gilbert moved away from the tripartite expression of a tall building that he had used in the Brazer Building and the Broadway-Chambers Building to an expression of verticality emphasized by the Gothic ornament and the dormered three-story mansard roof. Upon its completion, the design was widely praised by Gilbert’s architectural contemporaries. The building, located immediately south of the World Trade Center site, suffered fire and structural damage after the towers collapsed on September 11, 2001. Because of the excellence of its construction and the terra-cotta fireproofing, the building survived. New building owners undertook a major restoration and converted the building into apartments.